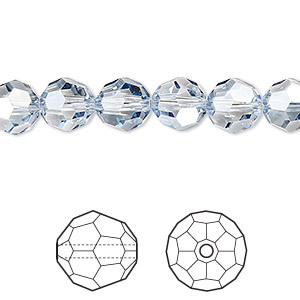 Bead, Swarovski® crystals, crystal blue shade, 6mm faceted round (5000). Sold per pkg of 12. Item Number: H20-8662CR Have a question about this item? 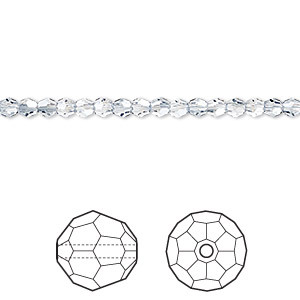 The glamorous crystal blue effect brings just a hint of grey-blue tones to the timeless clear crystal. 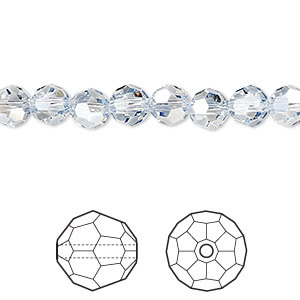 Crystal blue shade awards the renowned Swarovski sparkle with subtle, cool elegance. Color may vary. 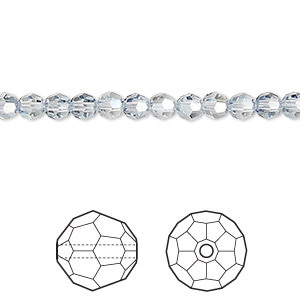 Bead, Swarovski® crystals, crystal blue shade, 6mm faceted round (5000). Sold per pkg of 144 (1 gross). 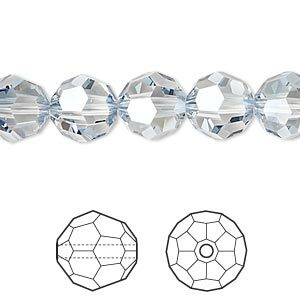 Bead, Swarovski® crystals, crystal blue shade, 6mm faceted round (5000). Sold per pkg of 360.